Breathless coverage of the engagement of Prince Harry and Meghan Markle has been consuming our newsfeeds since late November. Oh my lord, it’s been less than two months?! Wow. 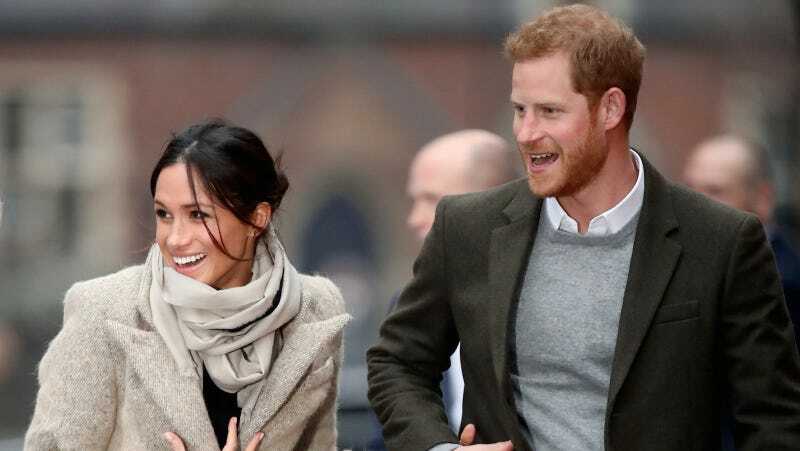 If you’re worried that you missed something, don’t; the Royal couple is getting a Lifetime movie so we can go through it all again. In other words, every moment we are currently living will be presented to us again by Lifetime. I honestly can’t wait to see the actress cast to play actress Meghan Markle. The film will be directed by Menhaj Huda, and will have more serious subjects to deal with than Kate and William’s college romance. Markle has already been dealing with sourfaced racists in the Royal family, plus her estranged half-sister’s insistence on inserting herself into Markle’s life as vocally as possible. There are a million Markle headlines because she’s actually interesting!